Home ⁄ The Wire ⁄ [SCENE REPORT] THIS SUMMER’S DRIVE-IN EVENTS! [SCENE REPORT] THIS SUMMER’S DRIVE-IN EVENTS! There used to be thousands of drive-in movie theaters across the United States, but now they have become something of a rarity. 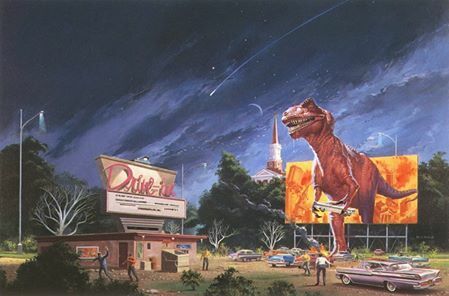 Already in decline, the number of drive-ins dropped even further within the last few years, thanks to the rapid switchover to digital projection demanded by the major Hollywood studios. Many of the remaining drive-ins had to close their gates because they couldn’t afford the expensive upgrades required for digital projection, while some managed to successfully raise funds through community support. In 2015, a drive-in movie theater with 35mm projection is extremely hard to find, but a few of them are using their situation and equipment to their advantage with some fantastic 35mm repertory programming. The events held by Philadelphia-based Exhumed Films have consistently featured some of the best cult/genre/exploitation programming in the States, especially since the introduction of their annual 24-hour Horrorthon and their 12+ hour eX-Fest shows. Exhumed specializes in screening the best and rarest films from film prints, and they have recently partnered with the Mahoning Drive-In Theater near Lehighton, Pennsylvania. 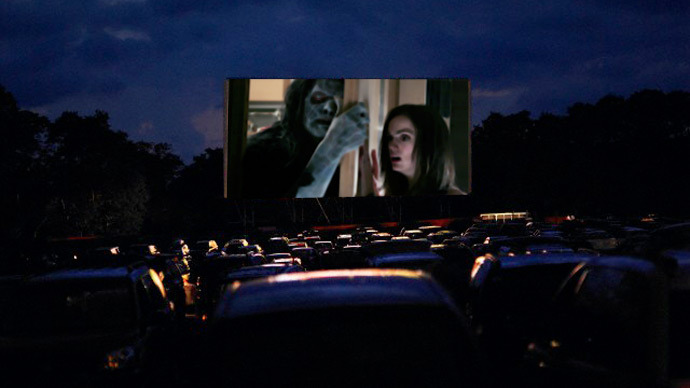 With their help, the Mahoning is turning into an impressive repertory drive-in, starting with their recent Zombiefest over Memorial Day weekend. Over three nights, the theater screened DAY OF THE DEAD (1985), MESSIAH OF EVIL (1974), HOUSE BY THE CEMETERY (1981), DEMONS (1985), CHILDREN SHOULDN’T PLAY WITH DEAD THINGS (1971), ONE DARK NIGHT (1983), CITY OF THE WALKING DEAD (1980), TWO EVIL EYES (1989), and REVENGE OF THE DEAD (1980) — all screened from film prints! Thanks to the success of the Zombiefest, Exhumed and the Mahoning have scheduled a series of events for the summer. Friday June 12th and Saturday June 13th they will be screening EVIL DEAD (1981) with a different second feature on each night: ZOMBIE (1979) on Friday and PIECES (1982) on Saturday. The weekend of Friday, June 26th will be a three-night, eight-film SALUTE TO AVCO EMBASSY PICTURES featuring RIDER ON THE RAIN (1970), ROAD GAMES (1981), VICE SQUAD (1982), ESCAPE FROM NEW YORK (1981), DEAD AND BURIED (1981), FEAR NO EVIL (1981), THE MANITOU (1978), and THE HOWLING (1981). The weekend of July 4th, the theater will screen a slate of Universal Studios classics, including THE THING (1982), THEY LIVE (1988), E.T. (1982), THE LAST STARFIGHTER (1984), and more to be announced. Their final currently scheduled screening for the Summer is the return of Exhumed’s GO APE marathon on July 24th: a screening of all five original PLANET OF THE APES features! This is a pretty incredible series of shows by any measure, and there will likely be more to come later. Follow the Exhumed Films and Mahoning Drive-In Theater Facebook pages for more information and announcements of upcoming screenings. 2015 marks the ninth year for the DVD Drive-In’s Drive-In Super Monster-Rama event at the Riverside Drive-In near Vandergrift, Pennsylvania. This year’s show takes place on Friday, September 11th and Saturday, September 12th, and each night has its own theme. Friday is a series of Roger Corman’s Edgar Allan Poe films: THE PIT AND THE PENDULUM (1961, screening from a restored DCP; all other films are screening from 35mm prints), THE MASQUE OF THE RED DEATH (1964), THE TOMB OF LIGEIA (1964), and THE HAUNTED PALACE (1963). Saturday night is a series of vampire films: HORROR OF DRACULA (1958), DRACULA HAS RISEN FROM THE GRAVE (1968), THE FEARLESS VAMPIRE KILLERS (1967) and SON OF DRACULA (a.k.a. YOUNG DRACULA, 1974). Fans of Exhumed Films may recognize that last film due to its appearance at their FORGOTTEN FILM FESTIVAL in 2014, which means a 35mm screening of that film in particular is an extremely rare treat. The last few years have seen other drive-ins around the country hold similar events, and hopefully as the Summer continues we’ll see more great screenings at these unique venues. 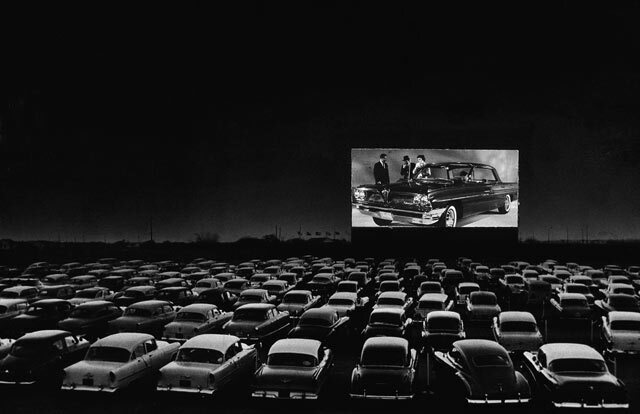 Going to a movie at a multiplex is a commonplace thing, but going to a drive-in is a completely different experience. 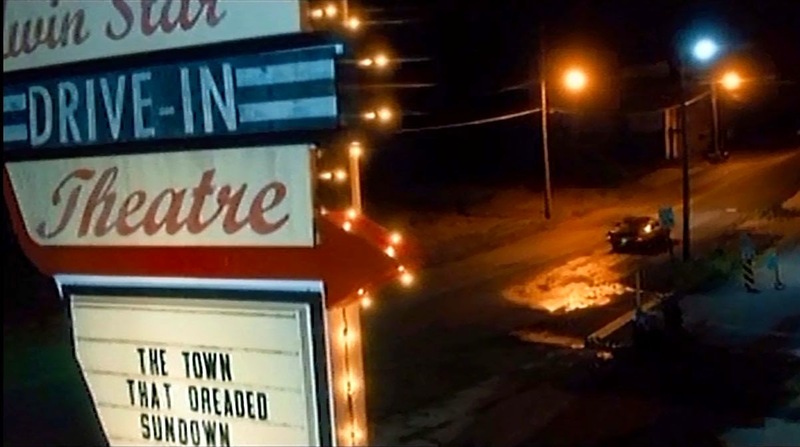 Any film fan owes it to themselves to give it a try if possible, and the screenings at the Mahoning and Riverside Drive-Ins are great excuses to take a weekend getaway, to see these movies the way they were meant to be seen. Stay tuned to Daily Grindhouse for announcements on more upcoming drive-in screenings, and if you know of any we haven’t covered, feel free to drop us a line so we can help get the word out!